Amazing eBay auction for a 10 room record and memorabilia store. I would honestly love to sort through all that crap. The host has Ware ‘read’ a strip, after which, he aplogizes. So Great. Among really nerdy dudes who obsess over things like the beginnings of Chris Ware’s career, the primary representation of his early work has long been ‘Floyd Farland: Citizen of the Future,’ an out-of-print collection of College-era strips featuring the titular character. ‘Floyd Farland’ is illustrated in a modernist style that is completely unrecognizable when compared with Ware’s later works, so it’s somewhat difficult to trace the path of his ‘artistic development.’ It was recently pointed out to me that additional college paper-era Ware material was collected in a trade paperback called ‘Commix,’ published by Protein Storm Press in 1988. 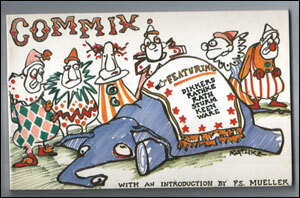 Included are several strips bearing the title ‘Comick Strip,’ presumably published in the Daily Texan. Four of these, which bear separate titles and appear to have been published on consecutive days, can be cut out and joined together to form a circular, infinite comic strip. 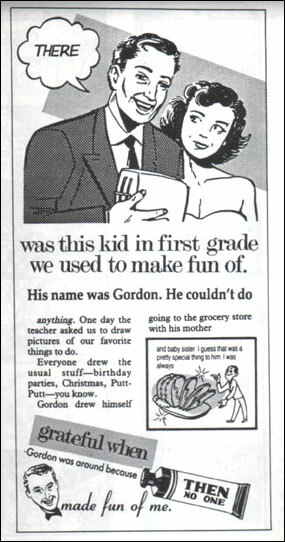 There’s a brief Floyd Farland strip, an oddly postmodern page-sized lettering of the word ‘Joke,’ and an interesting precursor to the faux-advertising style that Ware became known for when The Acme Novelty Library was publishing regularly. This one is an interesting combination of advertising imagery and linear narrative, a disconnect that echoes another of Ware’s early works – ‘I Guess,’ which is available online here. Chris Ware’s cover to Penguins New edition of Voltaire’s ‘Candide.’ The cartoonist of enlightenment. 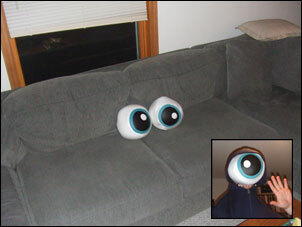 While shopping at Target the other day, I was pretty excited to discover that they are selling Murakami-esque ‘eyeball’ throw pillows as halloween decorations. Since I fervently peruse Target’s halloween section every year (The design is always so good!) and didn’t notice them until now, I figured I’d point this fact out to any like-minded folk who happen upon this. 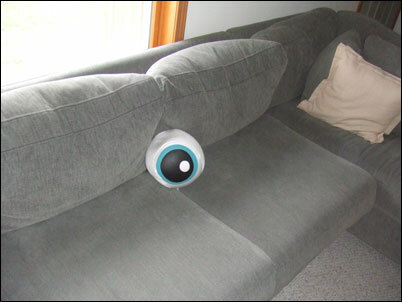 Now I need to buy another one, so my couch will appear to be sentient. I bought another one. Exciting, I know. Doesn’t it look like it’s PLOTTING? Inset: Also doubles as a cheap Residents costume.